Seriously? You play the FB games to learn which celebrity you’re most like or what your “real” age is or what your personality IQ is, and you don’t think that someone, somewhere devised the quiz for a commercial purpose? You get asked questions about your habits, likes, and dislikes, and you don’t suspect that the software is collecting data about you for some reason? When you click to play/answer a quiz you’re told that the app is going to have access to all sorts of your personal information, often including your contacts. You have to say, “Okay”! Perhaps the most obvious collectors/sharers of data with Facebook are the other websites and services that allow you sign into them using your Facebook (or Twitter or ….) accounts. 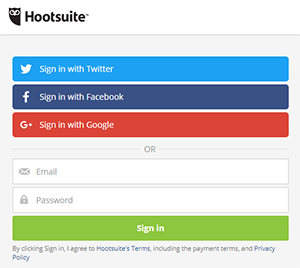 You have to agree to let them see and use at least some of your Facebook information as part of the login process. Did you think that these other sites and applications were not getting information about you and your habits from Facebook at the same time they were telling Facebook what they knew about you? Again, seriously? Facebook — and many other social sites, games, and apps, are free. They sell ads like the free old-time television. But, they know more about you than the broadcasters who sent the same commercial to everyone in America. Apparently people didn’t expect that Facebook would use the knowledge they have to sell more ads and make more money. Facebook has made mistakes. It said that it didn’t share information when it had, and it didn’t get back information from places like Cambridge Analytica it said it would. And, Mark Zuckerberg and others have dissembled on the topics of privacy and data sharing. But, I worry about the uproar focusing on Facebook and the follow-on idea that you can pass data storage laws that are going to keep your information safe on the Internet. Laws and a contrite Facebook are not going to keep your views, demographics, and interests private if you publish them online. And, if you take a poll/survey/test for the fun of it, you have to expect that the hosting site is doing something with your information. We are each responsible for determining what we want the world to know about us and we should expect others to react positively, negatively, or commercially to what we share. Frankly, I thought this was understood by all of us Internet-savvy folks including Facebook users, bloggers, and Pornhub contributors. The New York Times published a handy list of commonsense steps you can take give yourself marginal protection on Facebook, and most of their advice applies for other sites and apps. Read it and take their suggestions. But, really. The outrage over Facebook’s “data breech” sounds a little like the indignation and surprise of the bordello piano player. I don’t need Mark Zuckerberg to testify in front of Congress to know what’s being going on upstairs in the rooms.